So I wanted to put this out there as my way of contributing to the conversation. It’s an interesting and valid question – why isn’t Greenville a music town? With one of the Top Ten Downtowns in the country, tourism set for a colossal boom, and a healthy overall arts scene, it seems Greenville would be a mecca for live music, at least regionally. When we’re compared to Austin, TX, within a stone’s throw of Asheville, Charlotte, Atlanta and Charleston; paired with our beautiful surroundings, it seems like a no-brainer. When you delve into a conversation about the live music scene with most anybody, they all seem to blame two things: the venues currently here, and the lack of venues currently here (see this Reddit thread for an example). But there are some very valid reasons Greenville has a problem with live music. And the fact we’re talking about it is actually a great sign. Before I get to it, let me explain something about myself. 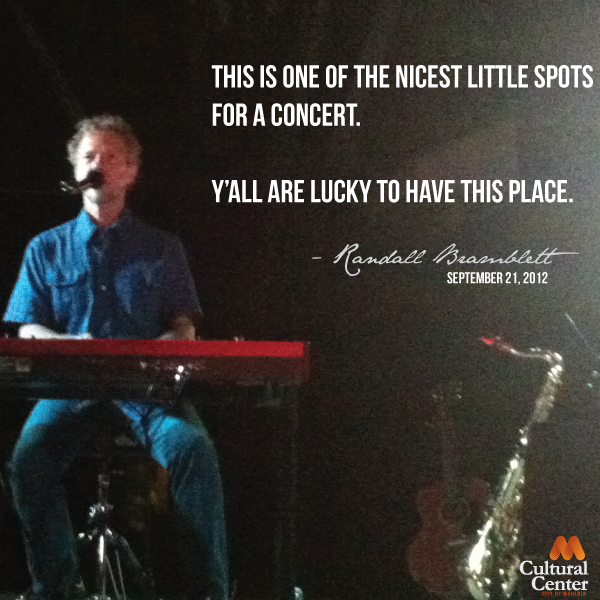 I come from the venue management side of things – I’ve booked local groups and Grammy winners. I’ve managed indoor and outdoor venues, festivals, and I’ve done everything from negotiating with agents to running sound. And I love going to concerts around the entire Upstate. So I come at this from a slightly different view point than your average concert-goer, and a different view point than someone who stays close to downtown Greenville for their entertainment needs. I’ll be talking broadly about the entire Greenville area, not just downtown Greenville, because to be honest – downtown isn’t the only place to see live music, and other areas share the same hurdles as Greenville. Like real estate, the ability for a live music scene thrive depends heavily on its location. Greenville by itself is a great city for live music. It’s beautiful, it’s easy to get around; it’s got the population, it’s got an airport, and it’s right along I-85. But the regional view of Greenville, while attractive for business and population growth, does not help our live music scene. These are the statements us in the venue world hear all the time around here. The answer is two-fold. First of all, venues like the Orange Peel in Asheville have essentially a “non-compete” clause in their contracts. Bands are not allowed to play within a certain radius of that particular venue within a certain number of days, like 100 miles and 90 days (Greenville is less than 75 miles from Asheville). This same philosophy is taken by bands themselves in many instances if they are at the Orange Peel / Handlebar level. Why would you play Asheville, Greenville, AND Atlanta when you can sell more tickets by playing just Asheville and Atlanta and pull audience members from Greenville and South Carolina? And it’s not about the money every time – but the whole logistics of travel with equipment and instruments (especially if you’ve got just a van) can become tedious the more you try and hit every single market possible. Additionally, large tours that hit up Atlanta and Charlotte will have the same kind of clause for their artists, and usually a lot larger (like 500+ miles and 6 months). This example though does not come from the venue, but rather the company that owns the tour – usually Live Nation or AEG Live. If you’re paying Fleetwood Mac $2 million each show, you want to maximize your potential for ticket sales, so you only hit the major markets, and you only hit them for one show or two. You make your product, “Fleetwood Mac”, as scarce as possible so that you maximize ticket revenue. Secondly, and this applies more to large tours but still is a factor with smaller shows, Greenville is only two hours from both Atlanta and Charlotte. For purposes of transportation, it costs a lot more money to stop in Greenville, play a show, and continue on than it is to pack up the 18-wheelers and drive four or five hours and by-pass Greenville. While I-85 is a much better interstate to be close to than I-385, and even better than Charleston in many instances (the Holy City is 40+ miles off of I-95, a major coast tour route), being so close to two major markets is really hard on the live music scene. And let’s not forget Nashville is just 6 hours away. There is no place under two hours away that provides backline rentals. Backline is the litany of instruments, amps, microphones and other equipment some bands will request as a part of their contract. We do have some great companies in the area that provide audio / visual rentals and services (thank you guys), but we’re not talking about a few speakers, we’re talking about things as specific as an EBS800 Bass Amp or a specific model electric guitar. When a band is at a level where they tour nationally, but are not on wheels – meaning they fly commercial to their gigs – they can’t carry on their entire drum set or upright bass, so they ask that the venue provide it upon their arrival. But there is not one company in the Greenville area that has a treasure trove of equipment as specific as is sometimes required. Usually we have to piece-meal together from music stores, other venues, and the few groups that do rent out what equipment they do have. We all get by, but it can end up costing a lot of money. There are just not a whole lot of places where local musicians can really work on their craft here in Greenville. We’ve got a handful of awesome studios, but in terms of a comprehensive artist development market, there is not a lot to speak of. We are blessed with some phenomenal musicians in the Greenville area, what we need is to give them more opportunities to grow their craft. It’s more than studio space – it’s things like artist management and development. If we can grow our musicians, their reach can grow past the Upstate, they can build their capacity to work on their music full-time, and help build a stronger music scene. People who say we don’t have enough places for live music are asking the wrong question. There are a lot of opportunities (and more growing every year) for local acts to play in the area. What’s missing from the conversation is the types of venues and how they match with what typically goes along with a great music scene. All “music towns” have a unique musical identity. But what allows musical identities to form are the venues in which the can be shaped by audiences. Local acts are hard-pressed to find a venue in Greenville where people actually listen. Televisions and seating layouts encourage patrons to only use the music as a backdrop to their night. Don’t get me wrong, I love a good cover band while grabbing a few drinks with friends, but if we want to be a better music city, we as audience members need to start actually listening and we’ll need venues to step up to the plate and help make us listen. There’s a reason some of the best local musicians play places like GOTTROCKS, Smiley’s, Blues Boulevard, Mac Arnold’s, and a handful of others on a consistent basis – people listen. We also have a plethora of outdoor festivals that provide opportunities to see local music. But the worst part about festival music? People can easily walk away and be distracted. The same problems that plague jazz bands who try and play a noisy bar, plague festivals in some instances. When the Handlebar closed we lost what was, until that point, one of the only mid-sized venues in the area. And while it was harder for the Handlebar to get Orange Peel acts sometimes (for reasons already mentioned), the Handlebar did a good job of showcasing local acts as well. You won’t see the Peace Center, TD Stage or other larger venues pulling together local acts like that. This is a void in our market that can’t be overlooked. BUT it brings me to one area that I want to be sure and address. We have mid-sized venues around Greenville, just not near downtown. Travelers Rest has a 1,500 seat outdoor amphitheater, Mauldin has a 1,000 seat amphitheater and a 280-seat auditorium, Simpsonville has a small outdoor amphitheater (plus Charter Amphitheatre at 14,000 seats), and Fountain Inn has a 400+ seat auditorium and a small outdoor stage. All of which are very active, especially Spring through Fall. Mark my words though – as these other cities develop their downtowns, you’ll see the live music scene grow well past the city limits of Greenville. Which all brings me to my final point. Greenville is full of talented musicians and places to hear live music in some capacity whether it’s at a bar or every Friday night on almost every Main Street. We have a huge potential to really break out of our musical shell. So why aren’t we a “music town”? In a little dose of reality – it’s our own fault. As an audience we’re not demanding it. We’re not pushing for a unique musical identity. We’re not listening to the bands when we’re out, we’re yelling over them. We’re not willing to pay door fees or pay for local music, forcing bars to focus on food/bev revenue to pay the bands, which suffocates earning potential and income growth. We are not providing local musicians with the support they need to break out of Greenville, which will need to happen if we ever want to be seen as a music town. However, it’s not all bad. The fact we’re having this discussion means that Greenville has grown to a point where we think we should be a music town. We are finally at the point where we realize we need to give our artists more. We are ready to discover our own musical identity that is just as unique as our community. We’re ready to become a music town.